1. Stay calm - It can be tempting to respond in anger and attack the person who left a negative review, but this will only make things worse. Take the time to calm down and respond rationally to the customer’s issues, even if you do not believe the review was left in good faith. You probably realize that that you will never be able to completely satisfy every single client that walks through your door. Despite your best intentions—and, no doubt, your most sincere efforts—the legal world is often unpredictable and, occasionally, a client will be upset by the outcome or some other element of a case. If that client were to leave a negative review on Yelp or Google, your available options may be somewhat limited. A reputation management service, like that offered by OVC, INC., can help you mitigate the review’s impact, but even a disgruntled client is entitled to an opinion—unless the review contains false allegations. Then, as at least one case from Florida demonstrates, the situation may be significantly more noteworthy. It is important to get one thing out of the way immediately: you are never going completely satisfy every client that walks through your door. That is simply a fact. Of course, you and your team will certainly try and, maybe, by your own standards, you will succeed nearly 100 percent of the time. Your standards, though, are not your customer’s standards, and in many cases, what your client was hoping for is not reasonable, realistic, or even possible. The internet age, however, has provided anyone with a screen and a web connection a large variety of platforms to express his or displeasure, no matter how misguided it may be. 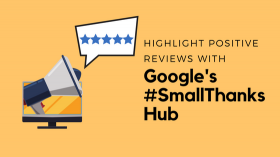 When a negative review shows up on Google or Yelp about your company, you are able to take back control of the conversation and, possibly, turn the situation into an opportunity for growth. Before responding to a negative review, you should take a step back and let your initial reaction subside. You are human, so your first impulse probably included the desire to fire back sharply, with carefully-chosen words that informed the poster exactly what he or she could do with his or her opinion. Such feelings are only natural when you feel attacked, and a negative review nearly always feels like a personal attack. For the sake of your company’s reputation, control yourself. If a response is appropriate, it will need to be posted quickly, but not necessarily immediately. Calm down first, and come back to it later with a clear head and a subjective attitude. As a successful professional, you have spent many years building your brand. Your office represents your values and the commitment you have to your clients, and you look to offer exemplary service for years to come. 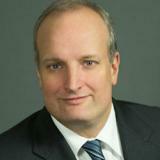 Every business, however, eventually must deal with dissatisfied customers and clients. Dissatisfaction may stem from unrealistic client expectations or from legitimate cases of substandard service, but, whatever the case, unhappy customers can create problems, especially when they utilize the internet to voice their displeasure. 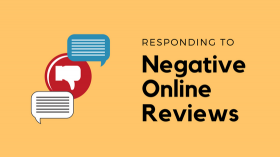 Negative online reviews can cost you significantly by impacting your office’s ability to attract new clients and maintain the image you desire, but, fortunately, professional online reputation management can help. It is not uncommon for a business owner or professional to be completely surprised by impacts to his or her online reputation. Negative reviews on Google+, Yelp, and other sites often contain hurtful personal attacks and wild accusations regarding service or customer care that bear little semblance of truth. However, the internet has very few filters and many reviewers are not afraid to exaggerate for attention. These types of reviews are often created by disgruntled clients or, in some cases, competitors looking to improve their own relative images.